This weekend we celebrate the independence of America, specifically marking it by the signing of the Declaration of Independence. Lip service is given to it by many, but what emanates from it is the U S Constitution. For the five to six thousand years of civilization before 1776, humankind's evolution was slow and horrible. Not much was accomplished under the tyranny of kings and emperors. Since the creation of the U S Constitution, we have accomplished more, in technology, wealth, religion and liberty than the whole of history before. The Constitution is under direct and deadly attack by the Left; yet they will pretend to celebrate freedom from tyranny this weekend with the rest of us that truly embrace liberty. In the past couple years Conservatives have tried to pass a rule that any legislation brought up has to state where in the Constitution it allows them to pass that law. It’s been rejected every time by Democrats and RINO’s (Republican In Name Only). “Time” magazine had a cover story asking about the Constitution, “Does It Still Matter?” (Rob posted about this in the entry below.) 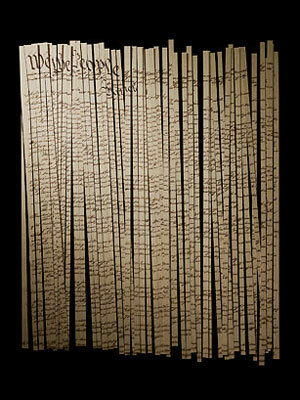 Time's managing editor, Richard Stengel: "To me the Constitution is a guardrail. It's for when we are going off the road and it gets us back on. It's not a traffic cop that keeps us going down the center." Interpreted this is that the Constitution means whatever the Left wants it to mean. Jefferson: "a mere thing of wax in the hands of the judiciary which they may twist and shape into any form they please." Which is just what the Left wants. They can’t gain full power if they obey the “enumerated rights” specified in the document. Jefferson again: "Our peculiar security is in possession of a written Constitution. Let us not make it a blank paper by construction. ... If it is, then we have no Constitution. ... [T]o consider the judges as the ultimate arbiters of all constitutional questions ... would place us under the despotism of an oligarchy. ... In questions of power, then, let no more be heard of confidence in man, but bind him down from mischief by the chains of the Constitution." Stengal makes this incredible observation: "If the Constitution was intended to limit the federal government, it sure doesn't say so. Article I, Section 8, the longest section of the longest article of the Constitution, is a drumroll of congressional power." I don’t know what he’s reading, but that article states specifically what the government is allowed to do, and is allowed to do no more. The Left, enemies of the Constitution, attacks it by ignoring what it says, and then says it says something else. James Madison: "The powers delegated by the proposed Constitution to the federal government are few and defined. Those which are to remain in the State governments are numerous and indefinite. The former will be exercised principally on external objects, as war, peace, negotiation, and foreign commerce; with which last the power of taxation will, for the most part, be connected. The powers reserved to the several states will extend to all the objects which, in the ordinary course of affairs, concern the lives, liberties, and properties of the people, and the internal order, improvement and prosperity of the State." Obama ran on the notion that he was going to “fundamentally transform” America. That can only be done by ignoring the Constitution, which he swore to uphold when he took the oath: "I do solemnly swear (or affirm) that I will faithfully execute the Office of President of the United States, and will to the best of my Ability, preserve, protect and defend the Constitution of the United States." He has ignored the law. He declared a moratorium on offshore drilling after the oil spill and kept it in effect. Several courts have said this is unconstitutional, so he instructed his energy czar to not issue any permits to drill. Several courts have said Obamacare in unconstitutional because it forces citizens to buy a product provided by the private business sector. He’s not put that legislation on hold until the issue is brought before the Supreme Court, he keeps enforcing it. He’s gone to war (Libya) without Congressional approval. Just some examples. We essentially have an anti-Constitutional, lawless president, supported by a Media and political party that states the Constitution is nonbinding and meaningless. Another attack on the Constitution was made by Leftist Washington Post writer Ezra Klein: “The issue with the Constitution is not that people don’t read the text and think their following. The issue with the Constitution is that the text is confusing because it was written more than a hundred years ago and what people believes it says differs from person to person.” The Constitution of course was written over two hundred years ago. His statement means to, proving absurdity by showing absurdity, is that we can’t understand anything written by Adam Smith, Shakespeare, Tolstoy, Dickens, Emerson…you get the picture. Klein interpreted means that stupid Conservatives don’t understand that Constitution is designed to implement a Socialist State. This 4th of July, our Independence Day, as much as I’ll celebrate our freedom, I’ll worry over how far down the road we are to the shredding of the Constitution and becoming Obama’s and the Democrat Party’s vision of a “transformed” America. The move toward Statism has been slow, taking a couple hundred years, but Leftists are poised to kill liberty by the last triumphal act of shredding the Constitution. This is the last thing they need to impose their rule. I suppose then we can rename Independence Day, Government Day.